Last few posters we missed. Win the World 赢天下 posters today. 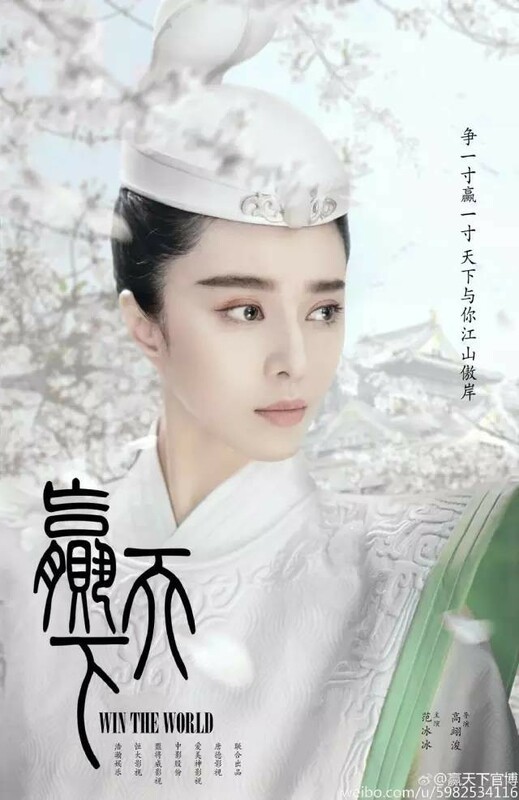 Starring Fan Bingbing, Gao Yunxiang, Yan Yikuan, Ma Su, Zhang Guoli, Guo Pinchao (Dylan Kuo), Xu Fan, Pan Yingzi, Pan Hong, Jiang Hongbo, Xie Yilin, Ren Shan, Lin Peng, Xiao Haoran, Peng Xiaoran, Guo Jing, Zheng Yawen, Zhu Jiaqi, Liu Xiaohu, Tian Li, and Yuan Xiaoxu, hopefully they will start releasing stills soon. … with costumes like these at least we probably won’t run the risk of being stuck watching big heads on screen…? Win the World 赢天下 has released it’s character posters. With an extensive cast including Fan Bingbing, Gao Yunxiang, Yan Yikuan, Ma Su, Zhang Guoli, Guo Pinchao (Dylan Kuo), Xu Fan, Pan Yingzi, Pan Hong, Jiang Hongbo, Xie Yilin, Ren Shan, Lin Peng, Xiao Haoran, Peng Xiaoran, Guo Jing, Zheng Yawen, Zhu Jiaqi, Liu Xiaohu, Tian Li, and Yuan Xiaoxu, let’s see if Fan Bingbing can top her own production The Empress of China in terms of extravagant costuming and production. Fan Bingbing (I Am Not Madame Bovary) is returning to the small screen with Win the World 赢天下, the latest project from the team behind Empress of China. It would seem that no matter where you lived, you could not escape having to learn the art of turning your head into a delicate pin cushion with hair ornaments. The Legend of Sumoer has released character posters. Starring Yan Yikuan, Du Ruoxi, Fu Dalong, and Yue Lina, those who enjoyed the costuming can see more here. The Legend of Sumoer has released a trailer and stills. Starring Yan Yikuan, Du Ruoxi, Fu Dalong, and Yue Lina, those looking forward to this drama can get a look into the costumes in motion. The Legend of Sumoer has released stills. Starring Yan Yikuan, Du Ruoxi, Fu Dalong, and Yue Lina, here is some more for those curious about this drama. It seems like filming has begun for The Legend of Sumoer. 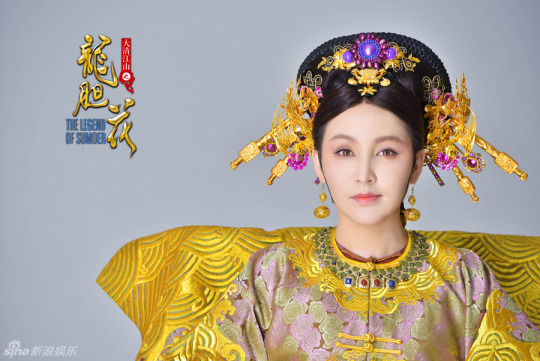 This drama seems set to follow the story of Sumalagu during the Qing dynasty. 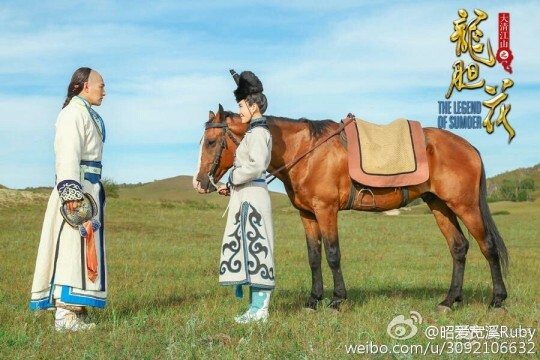 At this point, I’m without a good source for this drama and too lazy to look into the other actors other than recognizing husband-and-wife team Yan Yikuan and Du Ruoxi but here’s lots of costumes. A selected list of airing times for dramas to air this spring. Everything is subject to change. Which ones are you looking forward to? Stars to release include Liu Tao, Jiang Xin, Dilraba, Wang Kai, Hu Ge, Liu Shishi, Zhang Ruoyun, Huang Xuan, Zhang Meng,William Chan, Jerry Yan, Im Yoona, Godfrey Gao, Yan YIkuan, Yang Le, Tang Yixin, Zheng Kai, Jin Dong, Wan Qian, Zu Feng, etc.